Polyethylene has a number of significant advantages over traditional materials such as steel or ductile iron including lower weight, freedom from corrosion and the ability to coil long lengths of pipe. It is virtually unbreakable to impact, exceptionally resistant to abrasion and naturally-occuring chemicals and attack, and will outlast steel or other hard materials in most slurry handling applications. With a number of applications and variations in pipe colour and standards, uncertainty over the suitability of varying pipe systems can occur. Below we have explained the various materials the pipes come in. Before international standards were adopted polyethylene (PE) materials were commonly named by their density - LDPE (low density), MDPE (medium density) and HDPE (high density) - which was an indication as to the strength of the material itself. Advancements in material technology produced HPPE (high performance) and HMPE (high modulus), but this only caused confusion as they had similar densities to HDPE. ISO standards were further developed to designate materials as PE80 or PE100 to easier differentiate the benefits of the materials. PE80 vs PE100: What is the difference? PE80 has been widely used for gas, water and industrial applications for many years and is most commonly named MDPE (Medium Density Polyethylene). However, PE80 could also be HDPE (High Density Polyethylene). PE80 pipes are often rated SDR11 PN12 and have a minimum required strength (MRS) of 8.0MPa (Megapascal). 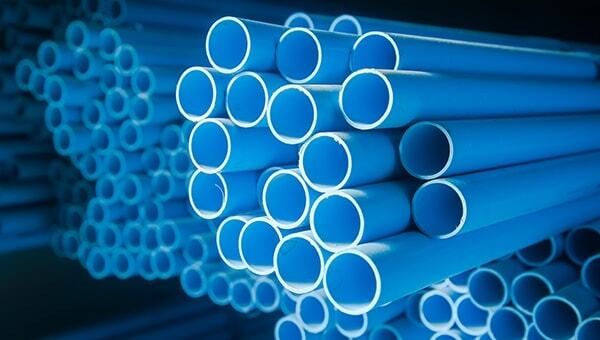 You'll find this material close to home in products such as blue and yellow MDPE in pipe diameters of 20-63mm. PE100 offers additional long term strength and performance over PE80 while allowing for thinner pipe walls for the same operating pressure. PE100 uses less polymer and provides for a larger bore and increased flow capacity. 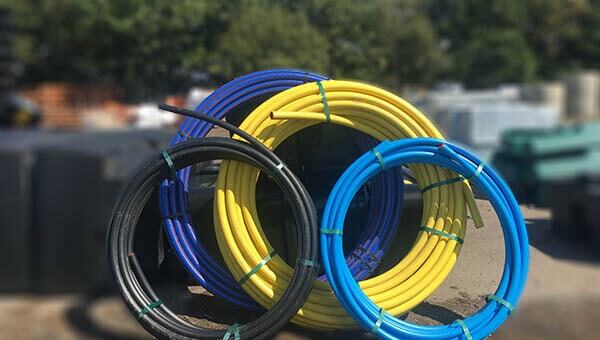 PE100 pipes are often rated SDR11 PN16 and have a MRS of 10.0MPa, and typically manufactured from HDPE or HPPE (High Performance Polyethylene). They are most often found in commercial and industrial applications with pipe diameters of 90-710mm. PE80 and PE100 products are not recommended for continuous pressure operation at temperatures above 60°C for liquids, including sewerage and industrial effluents, or 30°C for gaseous fluids. PE100 has advantages over PE80 at low temperatures since it is extremely crack resistant down to -30°C. 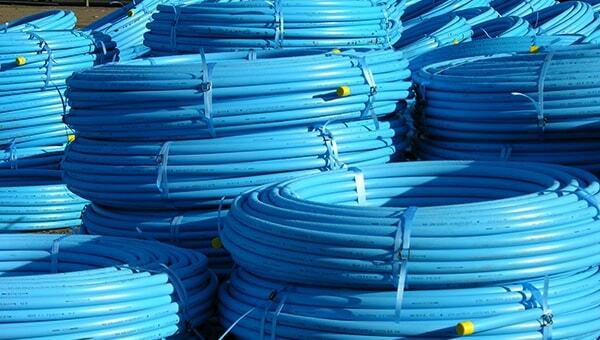 MDPE pipe is only made from PE80 material and HPPE pipe is only made from PE100 material. 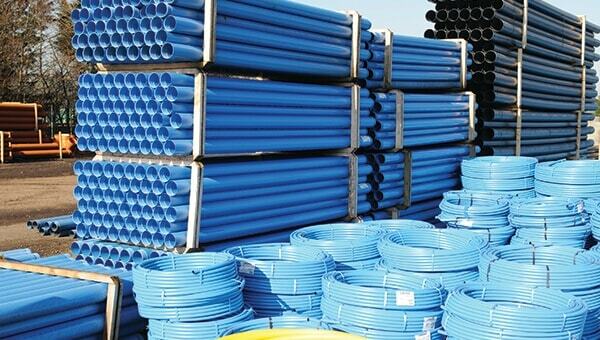 HDPE pipe can be made from either PE80 or PE100. However the name and type of material is often used just for reference; the PE rating (strength of the material) along with the SDR rating are the most important factors in determining the pressure rating and, therefore, the pipe required for the application. What is SC80 or SC100 PE Polyethylene? Some types of polyethylene pressure systems, instead of using PE80 or PE100 classifications, may use SC80 and SC100. SC is an abbreviation of shell core and indicates a pipe that is manufactured with polyethylene of differing colours and/or properties - usually to increase identification, performance, longevity or flexibility. They aren't considered to be multi-layered pipework; advanced co-extrusion techniques join the materials together at a molecular level to produce a strong single layer pipe wall. "PE80 polyethylene" for potable (drinking) water, for instance, would just be a single piece of material coloured light blue. "SC80 polyethylene" is manufactured with a PE80 black inner colour and a PE80 light blue outer colour. This lowers the cost of the product while retaining all strengths, properties and standards as well as the added benefit of visible damage to the pipe (if the pipe is punctured or damaged the black inner layer will be visible). 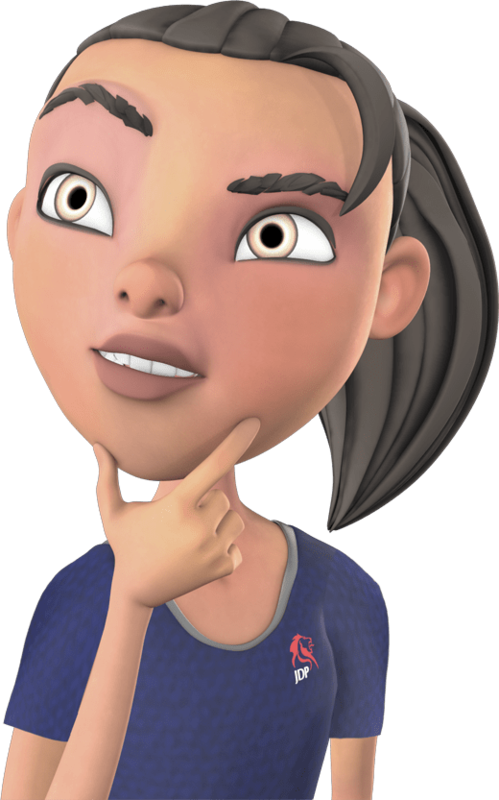 What is SDR and how is it calculated? The Standard Dimensional Ratio (SDR) is used to describe the relationship between pipe diameter and wall thickness, and therefore, the pressure rating of the pipe. The ratio between the pipe OD and wall thickness remains constant for all pipe sizes for a given pressure rating, and can be expressed by a simple equation. For example: 250 (Pipe OD) / 22.8 (Wall Thickness) = SDR 11.